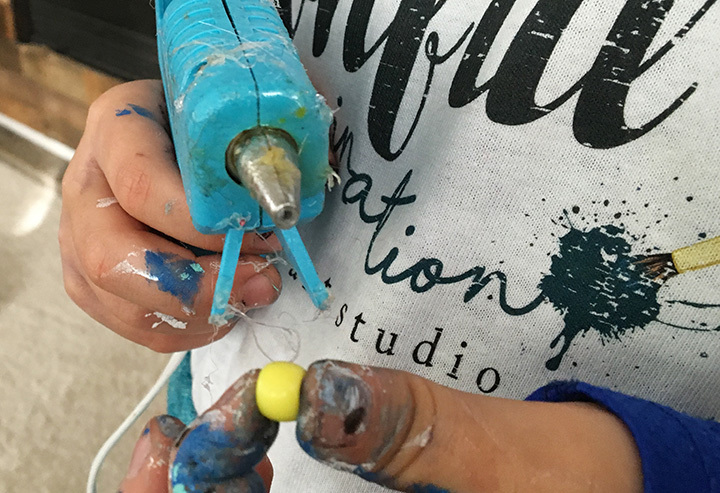 One of my favorite things to do with my kids is to create with them. In these moments, we can sit and talk and jump from being in our own imaginations to dreaming with one another. It’s so fun. 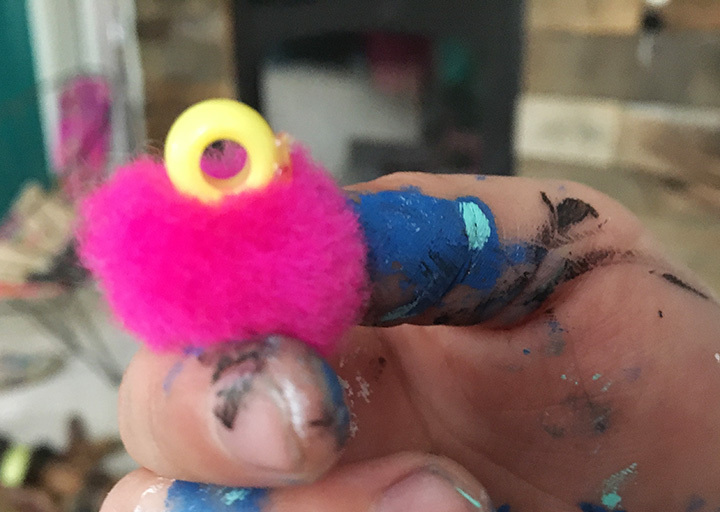 It’s often in these moments that we come up with cool ideas like this pom pom bead. 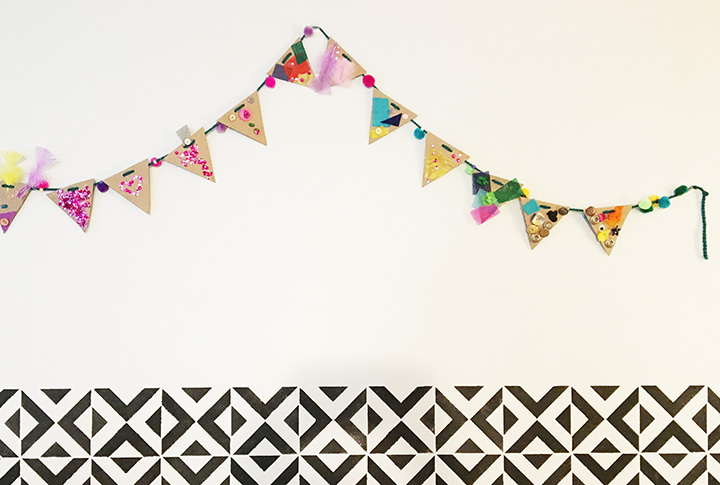 We love to make garlands around here. If you have followed my blog for a while, you might have seen some of my other garlands. 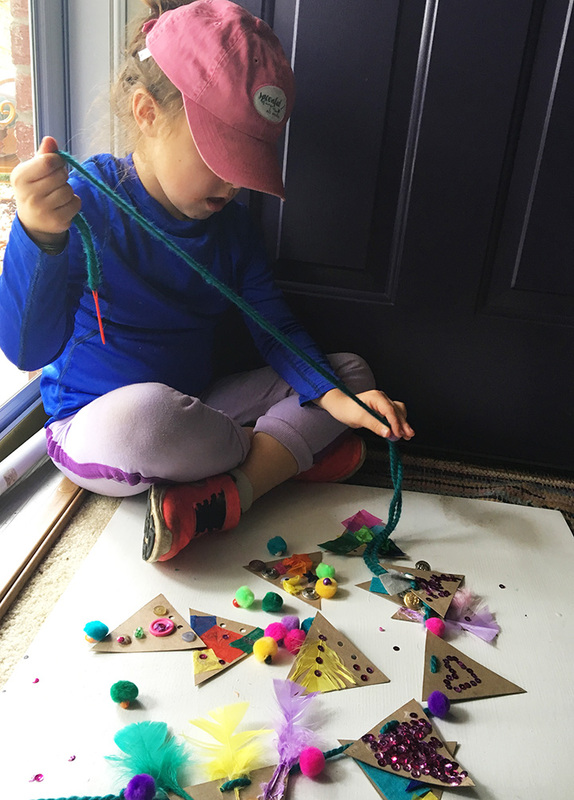 My Reagan had just embellished some cardboard triangles to turn into a garland when inspiration struck. I imagined how cool felt balls would look with her pieces. However, I was concerned they would be hard for her to string with a traditional needle and thread. 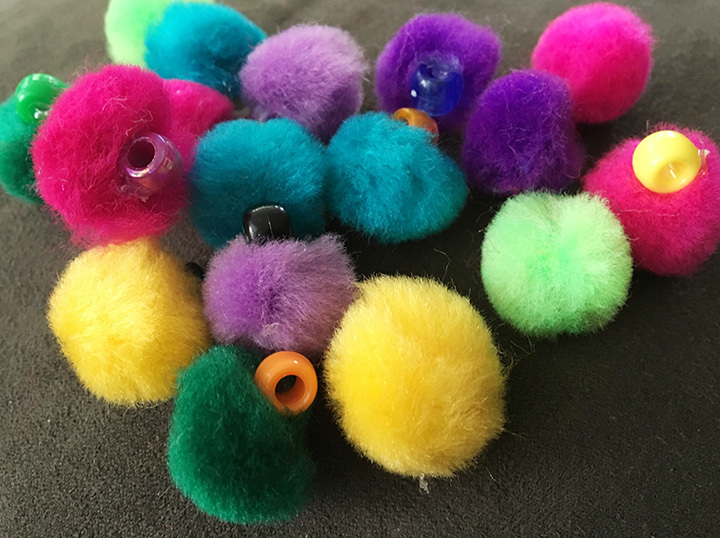 That is when I got this pom pom bead idea. 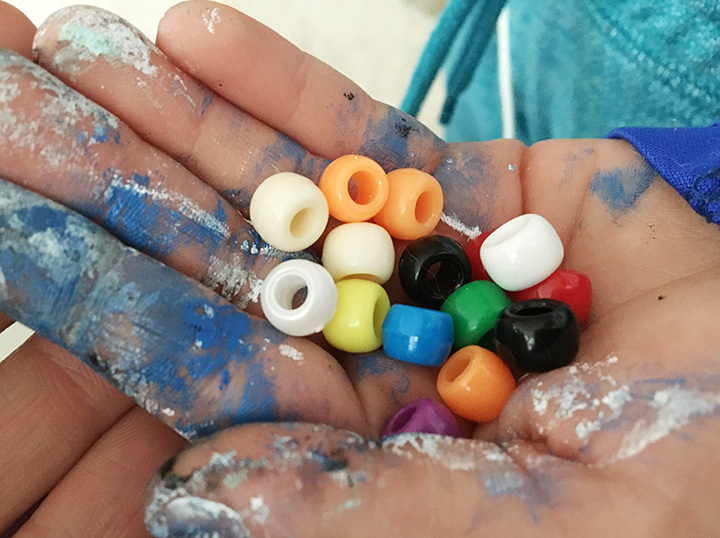 I started working on the beads as she was then painting, but she quickly got excited about the idea and ditched painting to create the beads. This is how we did it. First, we started with some basic Poly beads. These are inexpensive and a kid staple. We got a big pile of pom poms, and the next step is to just attach these two materials! We used our hot glue gun. We simply held the bead by the openings so the side of the bead is open. We placed a small dab of hot glue on the bead and pressed the pom pom on top. This is such a quick process! 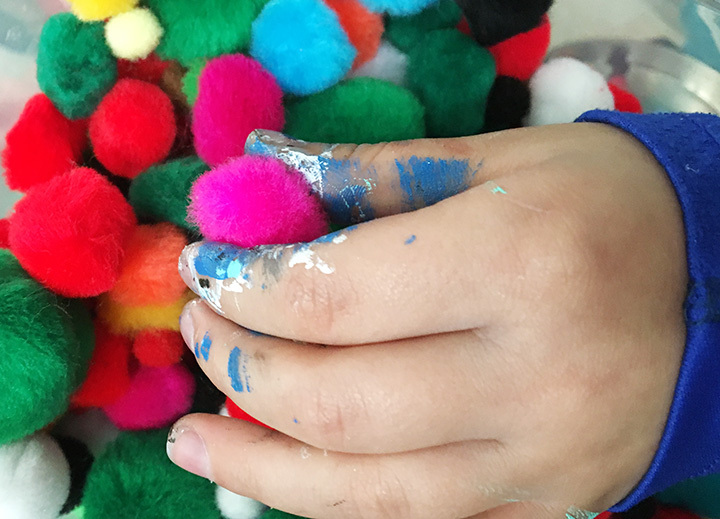 Before you know it, you will have a huge pile of pom pom beads! 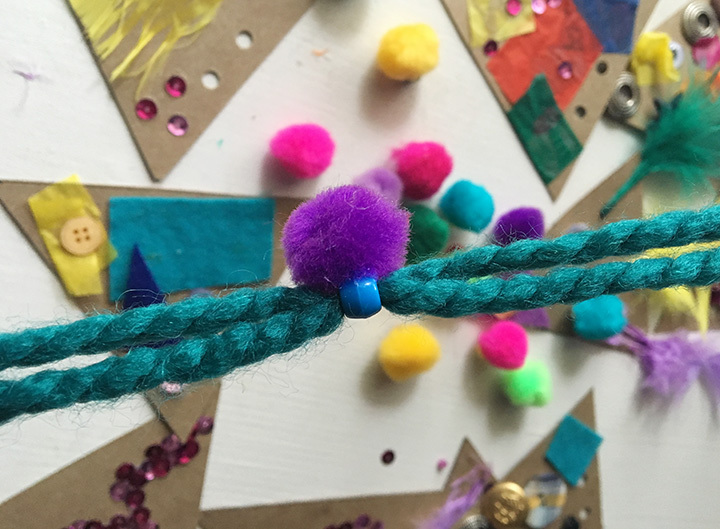 We love how the beads are cheap and quick, yet they create a whole new dimension and texture to our garland! My girl loved stringing these up with her other pieces! It was such a fun and easy sewing project for her! What do you think? 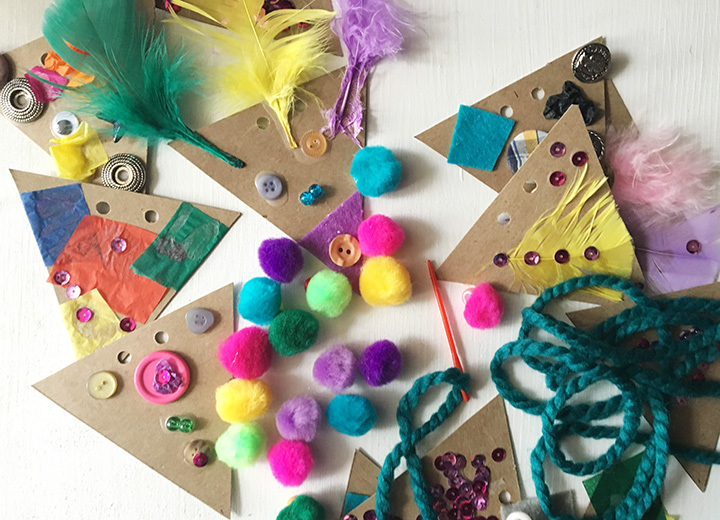 Would your little one like to create some pom pom beads to sew with too? 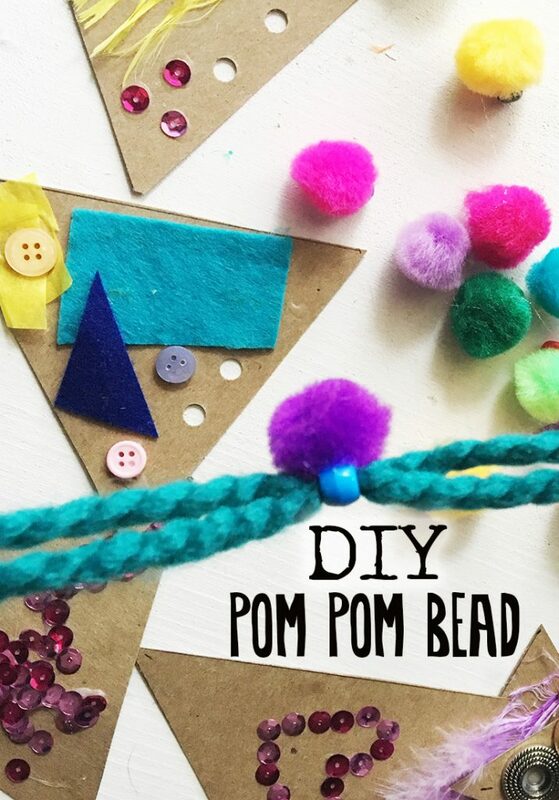 You could make a garland with just pom pom beads. Or maybe replace the triangle with fabric strips!? 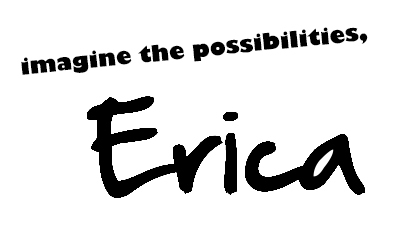 With a little imagination, the possibilities are endless. Christmas is coming. Can’t you see a long strand of these wrapped around a small table top tree? How cute! If you make some beads, we would love to see them! 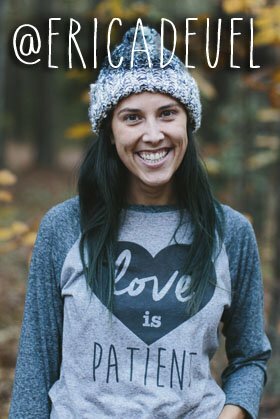 Tag us on Instagram or Facebook and use the hashtag #spoonfulproject so we can find you!